We've Got Our First Bingo, Plus Join Our Pick A Project Class! We Have Our First Bingo! We've got our first WINNER! Congratulations to Jill C. from Elkton, MI who was our first Bingo winner! She won a $50 gift card from A Piece Of Ewe! We are SO excited to finally have our first winner! And don't fret, we still have two more prizes for our second and third Bingo winners! Our second Pick Your Project Class begins on February 11th at 6:30 PM! We'd love to help you with any projects you're struggling with, or just want a helping hand with! We know everyone has an opinion and we'd love to hear yours! We value our customers' opinions and reviews of our shop. They help us to give you the best experience we can. 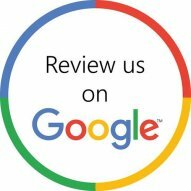 We would truly appreciate it if you could leave us a review on Google via the link below.